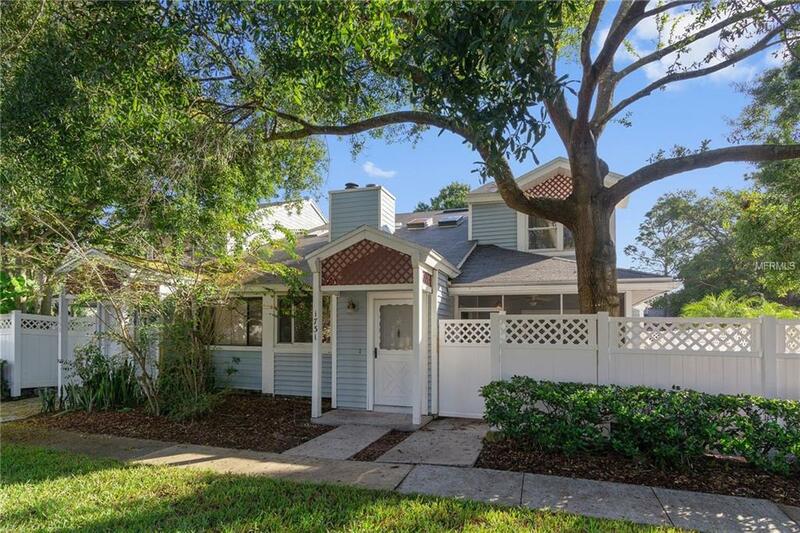 Great townhome opportunity in Winter Park! Two story townhome with screened porch and fenced private patio. All living areas on the first level have 18" travertine tile floors. Living Room and Dining Room share a two sided fireplace. Kitchen has been upgraded with newer wood cabinets, granite counters, new sink and faucet and stainless appliances. A breakfast bar and closet pantry make this a great space. Two master suites, one downstairs and one on the second floor. Downstairs master has large bath with upgraded travertine shower with bench seat and double vanities. Upstairs you will find a generous loft space along with another master suite with full bath. There is a walk in closet with additional storage loft above it. The screened porch and stone print patio space are perfect for entertaining family and friends. New privacy fence recently installed around the patio. All windows have been replaced, plumbing replaced and new roof installed in 2018. Loft area was extended over the dining room to provide additional living space. Great location near Full Sail, UCF and downtown Winter Park.